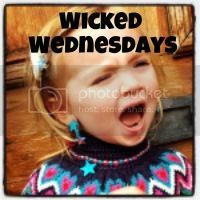 Over on Brummymummyof2 is a Wicked Wednesday link up. Looking through my iPhoto I’ve realised I’ve got enough of H (never mind adding to that now with D) to last a life www.flomaxbuyonline.com/flomax-price.html time so here’s my first attempt. Such a cutie! Did his attempts work? Oh I love this, love his face and I bet his sister was giggling hard!! Haha, it’s a good look! To be fair he could probably pick his outfits better than me… Gets it from his mum.